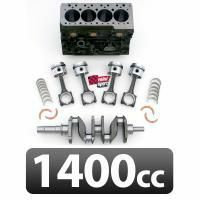 Searching for Mini engines to improve the running of your vehicle? Looking to restore your classic car back to its former glory? Or do you want to upgrade your Mini engine, to replace a poor-performing component? Then welcome to Mini Sport – the high-quality Mini specialists. Throughout the last 50 years, the team here at Mini Sport have maintained the same ethos of ‘high-quality products, at the right prices’ – an ethos that matches perfectly with the one behind the creation of the Mini. 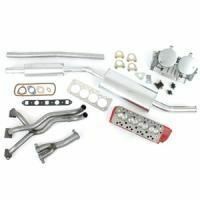 As such, the parts and spares we offer reflect the same cost-effective nature; giving you the opportunity to attain high-quality products at great prices. We are able to provide an impressive range of performance engines that have been specifically designed and developed for classic Mini models and Mini Coopers. Our Mini engines have been designed to offer some much-needed reliability, efficiency and an unparalleled performance attributes for road, race and rally use. The Mini engines that we have as part of our range include classic Mini performance 1293cc and 1400cc engines and kits that are for use in all classic Mini and Mini Cooper models. All of our engines have been designed and developed using high-quality materials, as well as our five decades of learned experience in order to improve the performance of your Mini. What’s more, our engine set-ups have been intensively tested by Motorsport champions, gaining acclaim amongst classic Mini race and rally communities around the world. Invented as a result of fuel rationing in the late-1950’s, the Mini’s economical ability is all down to its engine capacity; its space-saving transverse engine allows for around 80 percent of the area of the car to be used for the interior, giving 4 people ample space to ride along. You could say that the Mini’s size is somewhat deceiving – during its early heyday, people marvelled at the number of people that could fit comfortably in such a small space. It gave drivers the opportunity to make their money go further and yet still be able to get the family from A-to-B on Britain’s burgeoning road system. It was this spatial ability that saw the Mini grow into a British cultural icon during the 1960’s and as a result, has inspired people around the world to keep the spirit of this classic car alive. All thanks to Mini engines and their capacity to get the most out of the petrol tank. Why Choose Mini Sport For Your Parts and Spares? Our extensive selection of Mini engines has been created in order to maintain the prestige and history behind the Mini, yet still be distinctive enough to give you the opportunity of placing your own personality in creating your own custom vehicle. 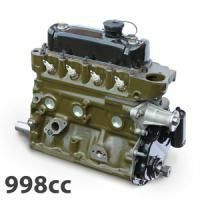 Regardless if you’re looking to restore your car back to its former glory with matching parts, want to improve its running or simply want to replace a part that isn’t functioning as well as it should be doing, then we will have everything you need amongst our Mini engines range. Aside from our engines, we have sourced all the materials and parts that will help you to improve the general running and comfort of your Mini – you can customise your Mini or even build your own from scratch, using our extensive catalogue. 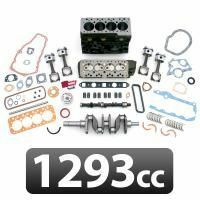 Please browse around our 1293cc and 1400cc performance engines and engine kits for further information. 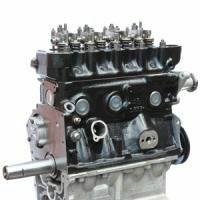 We supply complete part engine kits, full engine kits, built engines, as well as full engines and gearbox units in stage 1, 2, 3 and 4 tuning specifications, in order to improve the performance of your Mini.